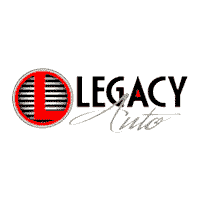 Legacy Auto is a family owned and operated new and used car dealership located in Garden City KS. Since 1945 the family has operated a number of successful businesses in Southwest Kansas. Jason and Jennifer Dougherty opened their dealership in 2010 as a pre-owned vehicle center. In 2015 they added new Chrysler, Dodge, Jeep and Ram vehicles to the line-up. The Dougherty’s possess strong Christian faith motivating them to operate the business with integrity and honor which is reflected in every decision they make. They consider it a major blessing to have the ability to “pay it forward” in the community in a variety of ways. Legacy Auto Center takes great pride in our people and the services we provide. We look forward to welcoming new customers into our family of happy owners.